Where the MCS officials will make notices to the general public. I would like to announce my resignation as a Junior Councilmember for the MCS. It was a long time ambition for me to be part of this Council. It's sad that the one time I finally make it is when I kinda lose that spark that kept me creative and engaged in Micras. I wish everyone much success and thank the Council for trusting me with this opportunity. Semi retired from Micras? I don't even know anymore. LOL. I just saw the title was "Council resignations" or whatever and thought it was a thread for that, sorry. Having accepted Edgard's above resignation, the MCS is now looking for a new Junior member. Applications are now open, and will remain so for the remainder of the current week, meaning that they will be closed on Sunday February 17th. Applicants should, in no more than 500 words, summarise why they believe they are a suitable candidate for the Junior Council member position and specify any individual skills which could come in handy for any prospective future projects. I would like to apply for the Junior Member vacancy. I believe that my nine years of experience in the Micras sector — first in Shireroth, then, in no particular order, Natopia, Antica, Craitland, Safiria, Kyō-Jima, Ashkenatza, and Hoenn, among others — along with my experience on the staffs of the FMS & MAS, and as the administrator of Micras' Discord server, have properly and uniquely equipped me for a job with the Micras Cartography Society. Additionally, I believe that my vector graphic skills would be beneficial to the Society for prospective future prospects. I don't think I need to explain to the honourable ('u' included to please Craitgod) councilmen that I've been in the sector for quite a while now, and have been a member of a few nations. As you might also remember, I have been a council member before. I resigned that time because I had lost interest in the hobby, and resigning seemed the most prudent thing to do. Of course, not too long afterwards, I came back and it felt like a shame that I had resigned! I hope Edgard won't feel the same way. Like I tried the previous time, I would like to be transparent about why I vote the way I do. In other words, I wouldn't just say "aye" or "nay", but also explain why I vote like that. I would also like to actively engage with anyone who puts a claim forward only to see it denied, to see if an arrangement can be brokered to make both the council and the nation that is claiming happy. I hope that way I can be a productive member of the community as a whole. I have made maps for a while, and the one map I am most happy about is the Jingdaoese part of the MCS Claimsmap. I have also cooperated with the Florian Republic to help them have nicer borders on their territory bordering Jingdao. While I like the a nice maps in vector graphics, I don't think it should replace the MS Paint version we have now. Its simplicity makes it easy to edit by most members of the community. This accessibility is one of the strengths of the MCS I think. 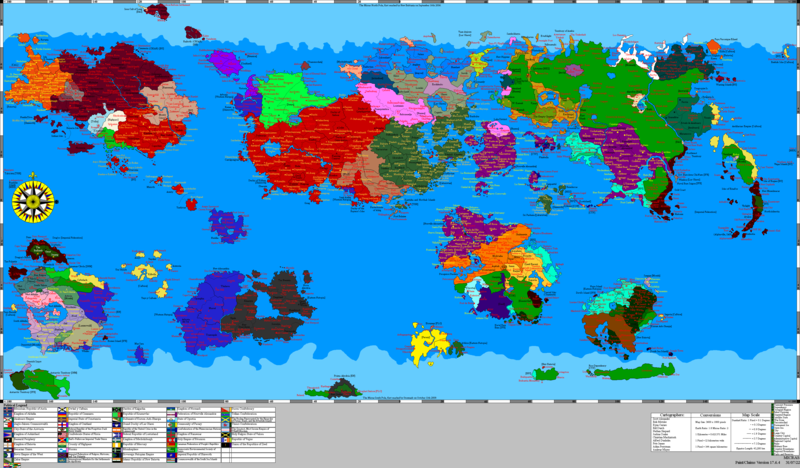 I would be interested in helping make/making a polished version of the map, but not more often than a few times a year. I would also like to work with for example NewZimiaGov who makes rather interesting climate maps and Gustaaf Vermeylen who made a map of gulf steams. The most important thing for me in that regard would be to include as many members from the community as possible. Thank you! I will try not to disappoint you! Porque las estirpes condenadas a cien años de soledad no tenían una segunda oportunidad sobre la tierra.